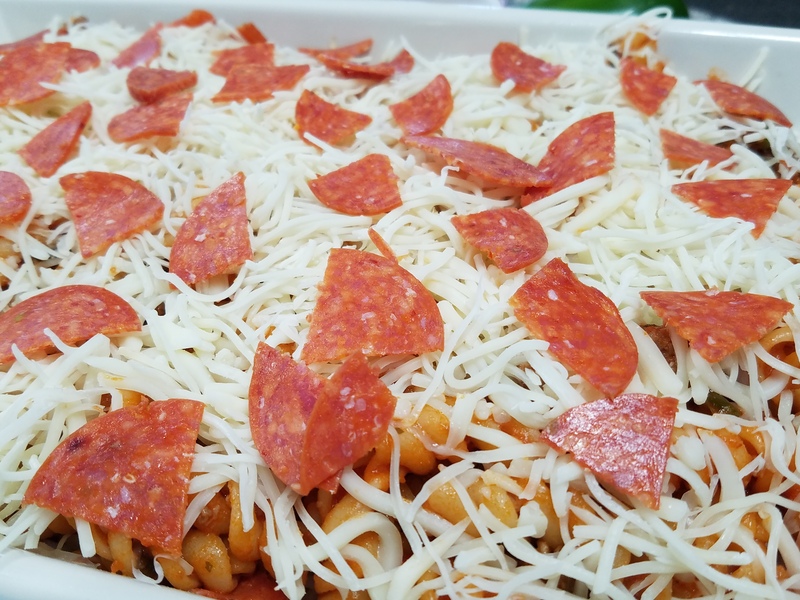 When I make a meal for my family, my goal is to make something that my family will enjoy, especially my kids. 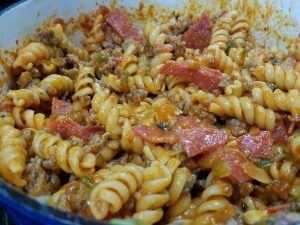 My other goal is to make a meal that is simple to make with ingredients that I either have around the house or with ingredients that I am familiar with and that do not cost a fortune for something that I will only use one time. 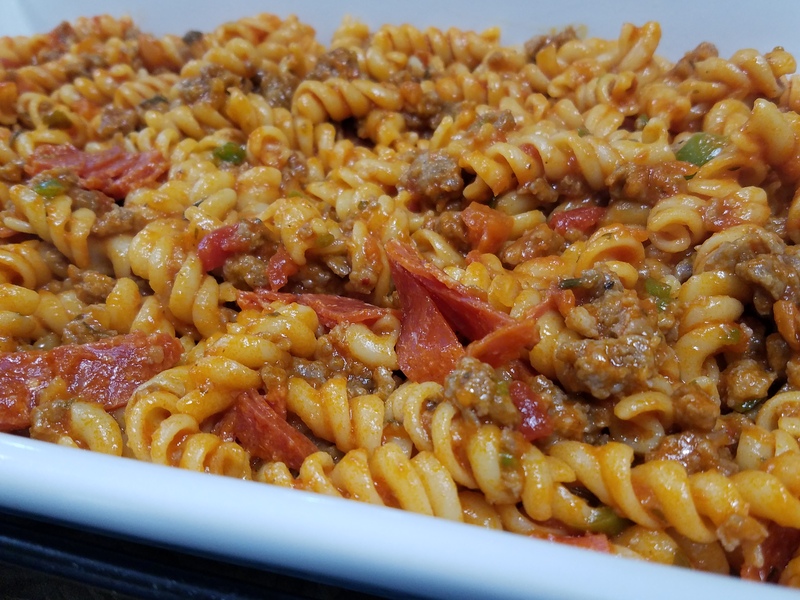 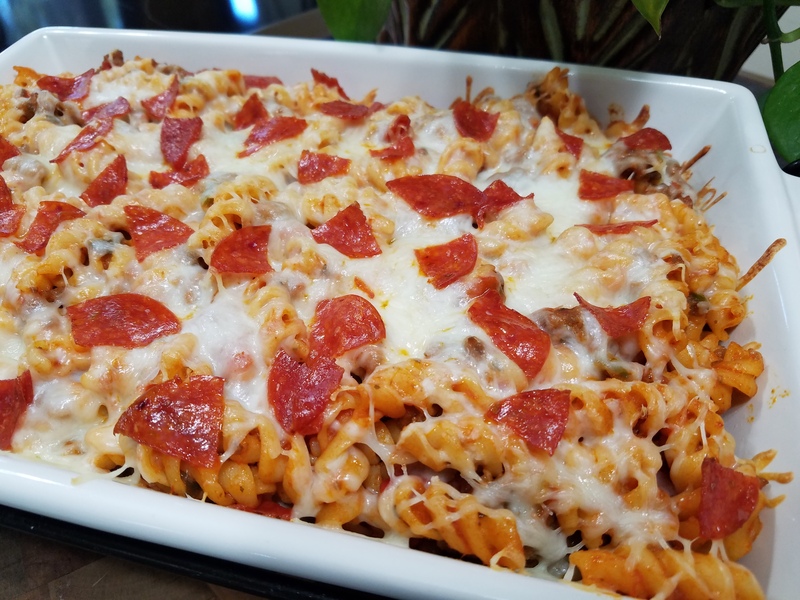 One thing that my family can agree on is their love for pizza, so I knew that my Sausage and Pepperoni Pizza Casserole would be the perfect family meal for them. 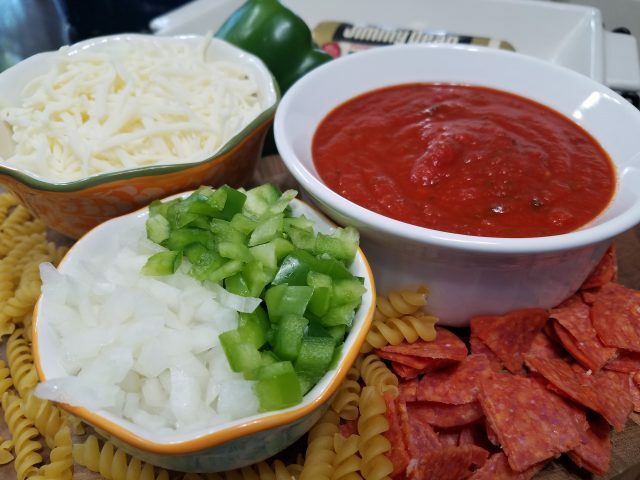 What I love about this pizza casserole recipe is that you can add as many toppings as you would like and change it every time that you make it. 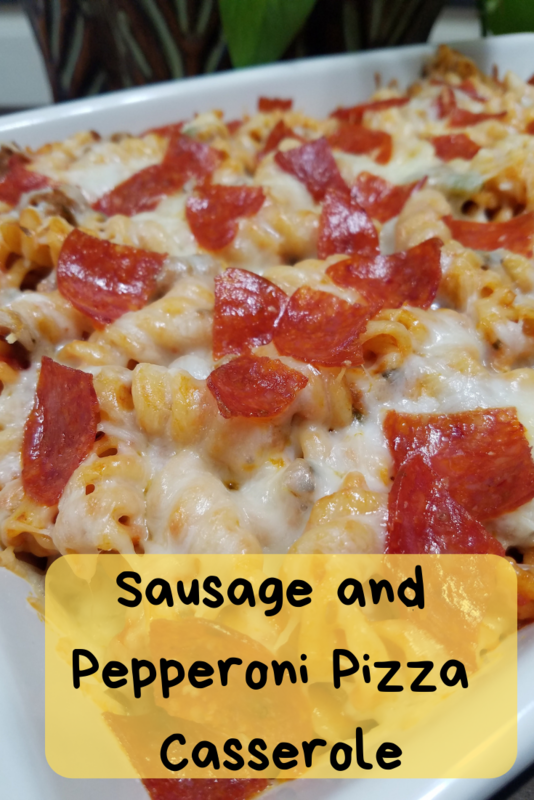 My family loved this Sausage and Pepperoni Pizza Casserole. I loved that my girls did not even notice the onions and bell peppers that I added to the recipe. 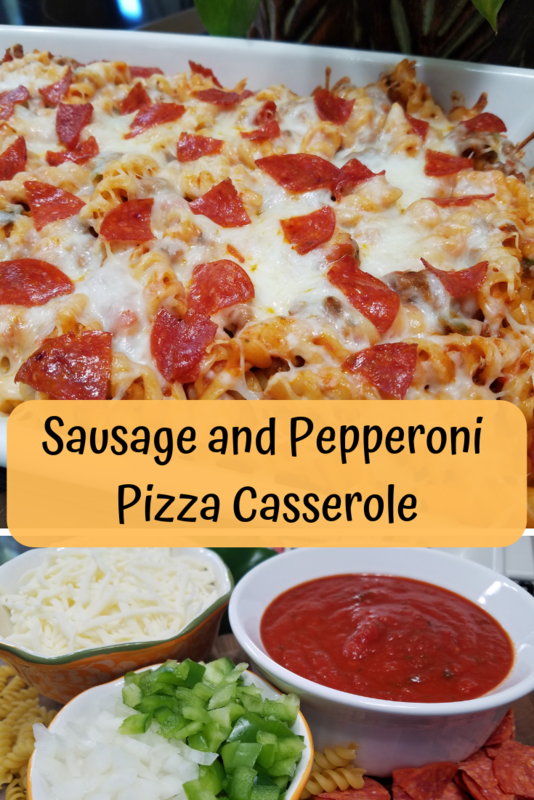 This pizza casserole is even more delicious when it is served with french bread and a side salad or it is perfect eaten alone.